Rolec is currently engaged in negotiations in Madagascar to start with a number of developments in the next year, but as licensing and building permissions can take up to a year to process and finalize, we will update nearer to the time. We are very excited to announce our Botrivier project! We will be building a housing estate overlooking the beautiful hills and valleys of the Houwhoek and Overberg landscape. The estate will comprise 362 housing units consisting of a mix of Group-Housing, Single-Residential and Semi-Detached houses in High-Security Estate. There will also be a local, mini shopping centre, outdoor lifestyle facilities, gardens, security …everything you need for a safe, scenic and fulfilling country lifestyle! We will be building 2 and 3 bedroom houses for the Affordable-Housing Market! Perfect for first-time buyers, buy-to rent investors and small families. 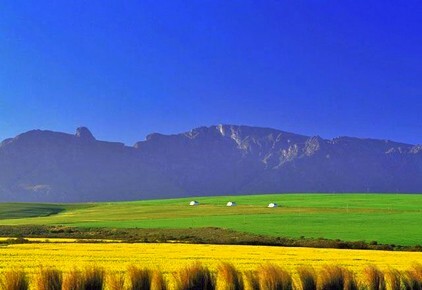 The beautiful town of Botrivier is close to Somerset West, Grabouw, Caledon and Hermanus. Olives, wine, canola products farming, and proximity to the beaches of Hermanus and Kleinmond ads amazing surroundings of natural beauty to the area, and creates a buzz of activity for tourism and outdoor activities. The area offers things to do such as adventure tourism, hiking and water sports, markets, restaurants, beaches, relaxation and hidden gems of tranquility. 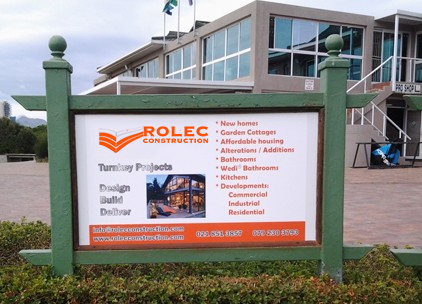 Rolec Construction has tendered on a number of projects in SA, Botswana and Madagascar, where we are establishing a presence shortly, and we look forward to updating you shortly as to our potential progress in these regions. Watch this space for more exciting developments and info as we near our launch date! You can soon own your own home in Botrivier! Our new sign board is now up at Strand Golf Club! For pre-launch info, click here to contact us!